Employee Appreciation Luncheon to Celebrate 25 Years in Business. 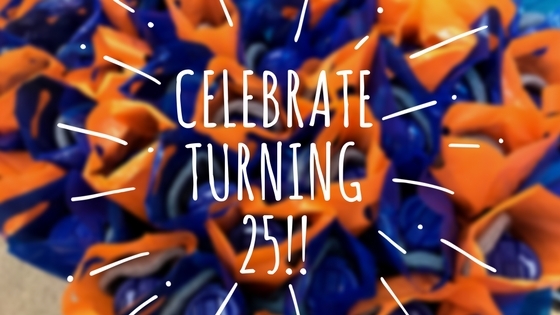 This year Star Thermoplastics celebrates 25 years in business. As a top manufacturer of high-quality thermoplastic elastomers (TPEs), we help businesses launch innovative and profitable products. We are normally all about our customers, but recently we took a break to celebrate 25 years of continued growth with our team. We celebrated with an Employee Appreciation Luncheon, featuring a buffet of salads, beef sandwiches, and mostaccioli for everyone to enjoy along with a cake and some cookies to satisfy the sweet tooth. There were three luncheons to accommodate all office, production and maintenance staff. Once lunch had concluded, Tom Dieschbourg, our owner, gave a small appreciation speech and recapped our growth and success over the past 25 years. 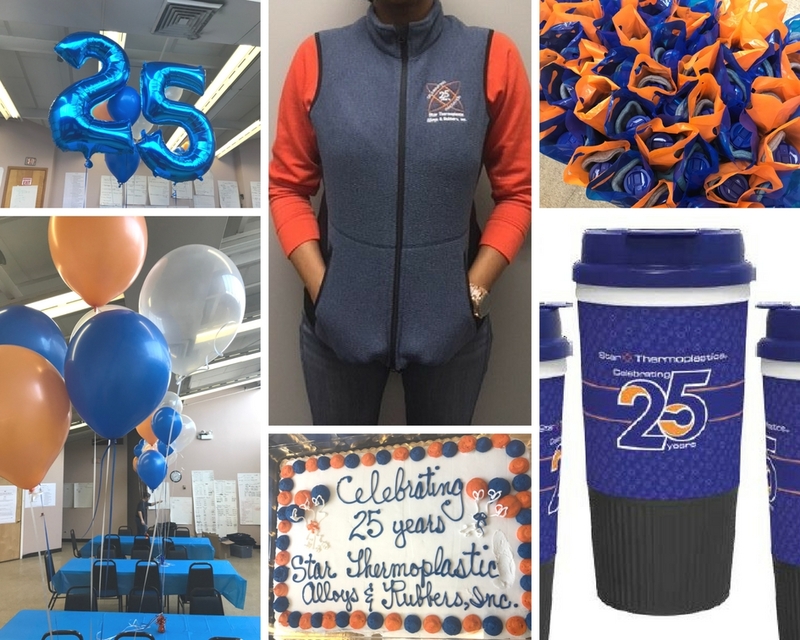 As a gesture of appreciation, employees were gifted with a commemorative 25th-anniversary vest, hat, and travel mug complete with our own material to prevent slipping. The vests have been a nice winter weather gift to wear at work.